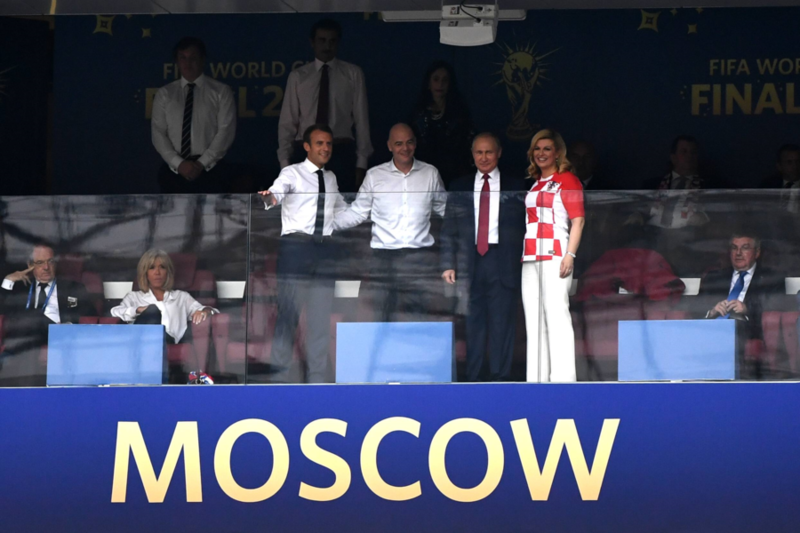 Grabar-Kitarovic was among the numerous dignitaries in attendance to watch football’s showpiece event at Luzhniki Stadium in the Russian capital, including Russian President Vladimir Putin and French leader Emmanuel Macron. France ran out 4-2 winners thanks to an own goal from Mario Mandzukic, a penalty from Antoine Griezmann, and second-half goals from Paul Pogba and teenage star Kylian Mbappe, although Ivan Perisic and Mandzukic got on the scoresheet in reply. It was Croatia’s first-ever run to the final, and the team captured the hearts of its nation as well as millions of others around the world with its spirited performances and no shortage of skill in Russia. Key among the team’s run to the final was captain Modric, who was awarded the Golden Ball at the end of the game for the tournament’s best player. 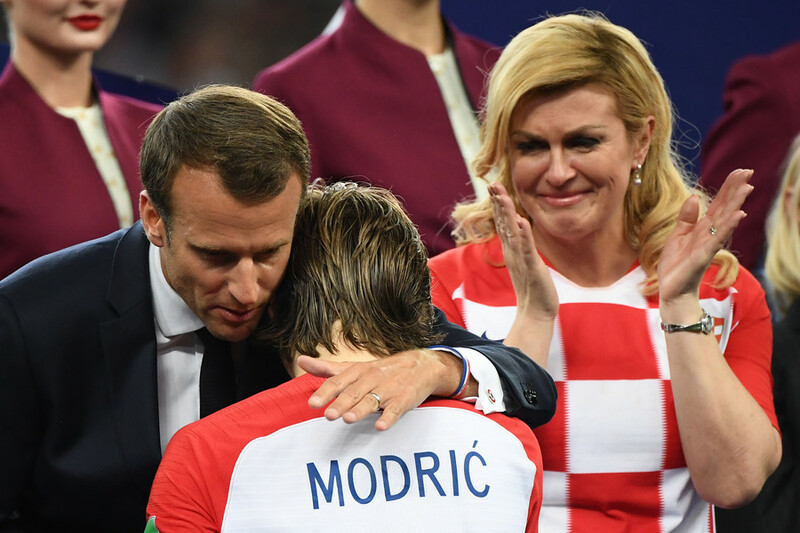 An emotional Grabar-Kitarovic, who had appeared animated in the VIP section sitting near Russian leader Vladimir Putin and French leader Emmanuel Macron throughout the game, was seen offering a hug of consolation and words of comfort for Modric at the end of the game. The Croatian leader has been a frequent presence in the stands throughout her team’s run to the final in Russia, and has won fans for her passionate support and stylish red and white team attire.